Facet syndrome is a common biomechanical problem of the lower back. 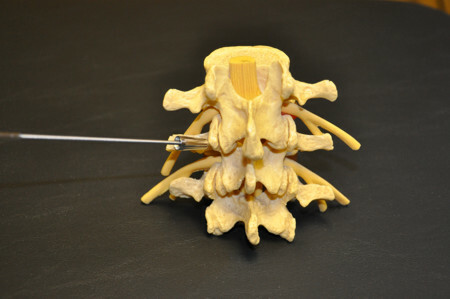 The facets are the small joints that allow spinal vertebra movement. The joints are located on either side of the spinal canal and just behind the disc, which is located in the front of the spinal canal. 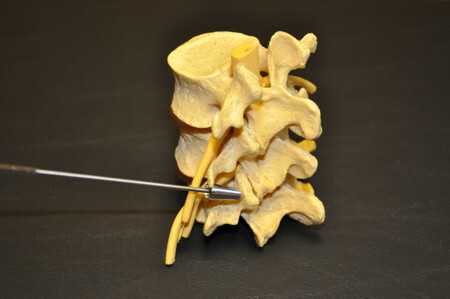 The joints help limit spinal joint movement and add stability to the spine. When these facet joints are injured, they become inflamed and the biomechanics of the lower lumbar spine may be changed. There can be an “overriding” of the two involved joints. This overriding action may narrow the openings that the nerves from the spinal cord pass through to supply muscles, vessels, tendons and ligaments from the buttocks down to the toes. This narrowing provides a chance for mechanical lower back pain and irritation to the spinal nerves. In the United States, lower back pain is one of the most common neuromusculoskeletal problems in people under 50 years of age. Lumbar facet syndrome is one of the most common lower back conditions treated by chiropractic doctors and orthopedic specialists. 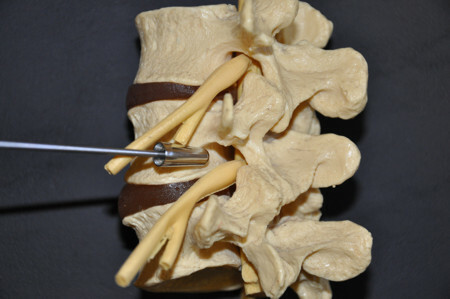 This condition is often called “mechanical back pain”. The term is used to indicate altered joint mechanics contributing to the lower back pain. Acute Trauma – injuries from lifting, twisting, falling on the buttocks, sports, work activities and motor vehicle crashes. Chronic Repetitive Trauma – Repetitive bending, twisting and occupational postural strain may contribute to injury of the facets and surrounding soft tissue. Minor traumas can manifest themselves later beginning with a dull lower backache that develops into a sharp pain. These traumas may have a cumulative effect on the joints contributing to increasing degenerative changes to the disc and cartilage on the joint surfaces. Altered Biomechanics – Joint degenerative changes from arthritis can cause abnormal joint motion. Congenital joint development has been cited as a factor. Obesity and muscle deconditioning have been thought to be contributing factors. The initial acute stages of each injury can exhibit very similar presentations. There are signs and tests doctors perform to help determine the cause of lower back pain. It may take several days to define the problem in some cases. Initially a disc injury may not present with leg pain and a facet syndrome may have the complaint of leg pain. To make matters worse, a facet syndrome and a disc herniation may co-exist at presentation to the doctor. 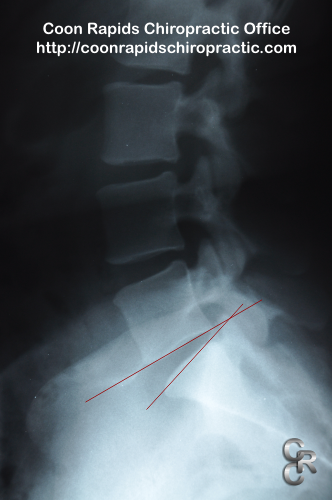 Plain film x-rays cannot determine if the disc is herniated, but can be a useful tool in evaluation for facet syndrome. What are some of the differences in the two conditions? Facet Syndrome – Generally localized lower back pain on one side or the other. Bending back and to the side compresses the two facet joints and the maneuver increases the pain in the lower back area. Sensory testing with a pinwheel or light touch is not altered. Sitting or lying on the back extending or lifting the leg to 90° does not significantly increase the lower back pain. Lumbar Disc Herniation – Lower back pain from facet syndrome and disc herniation may have a similar onset or mechanism of injury. Initially, there may not be leg symptoms with the disc herniation but they may develop over a period of days. Symptoms on the side of the disc herniation may cause pain, numbness or tingling to travel down the leg on that side. Over a period of time there may be sensory and strength loss in the leg and foot. The patient may have the inability to raise the affected leg up to 90° when lying on the back. Coughing, sneezing or even straining at the stool can increase the symptoms. It is a medical emergency if numbness develops on the inside of the legs and you have a problem controlling your bowels or bladder. 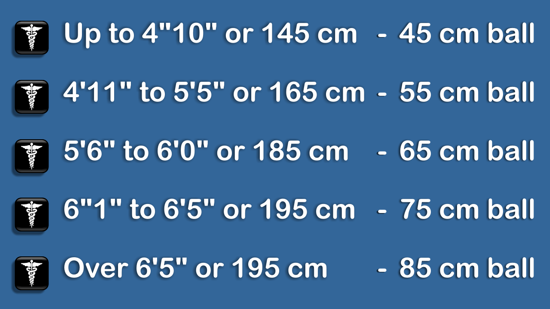 If these symptoms develop go to the emergency room immediately. The initial goal of treatment is for relief of pain and disability. Many of the same treatments may apply to both acute and chronic facet problems. There are some initial variations with the acute back. Ice treatment to the joints and muscles. Facet manipulation or segmental adjustment using Flexion-Distraction (F/D) treatment. Side posture adjustment to help mobilize the joint and break up any early forming scar tissue in the joint. Electrical muscle stimulation and ultrasound to help ease muscle spasm and localized swelling. Use of a lower back brace may be used in some instances. Bed rest should be avoided. Activities of daily living to include work may have to be modified until pain on movement is reduced. Positions that aggravate the facet symptoms to include sitting in a seat that is too soft should be avoided. Do not sleep on the stomach. Stomach sleeping jams the facets together aggravating the facet joint problem. Basic stretching exercises that do not aggravate the symptoms should be given as soon as possible. These can be expected within the first couple of visits. Core strengthening exercises are given once the basic exercises can be tolerated. The use of an exercise ball or Swiss Ball exercise routines have been very helpful in providing strength and stability. Warm your muscles before beginning more aggressive exercises. These exercise routines can begin once you have obtained a 25% decrease in pain. On occasion more radical treatment may be necessary. A referral may be given to a medical specialist for treatments such as radiofrequency nerve blocks and steroid injections. Reviewing the onset of injury or approximate date the symptoms began will help the clinician prepare a treatment plan. Initially, restoring joint motion by breaking up joint adhesions and fixations by spinal manipulation will ease pain and stiffness. Muscle relaxing techniques including electrical muscle stimulation, heat and massage are helpful. Exercises that maintain motion of the injured joints should begin immediately. Core strengthening exercises are essential for both recovery and prevention. Proper lifting techniques including keeping the back straight, bending the knees and keeping the nose and toes aligned will be reviewed. Repetitive Bending, Twisting and Lifting – stresses the lumbar facet joints. Poor Posture – Sitting at a work station in an awkward position that puts chronic stress on the lower back facets. Hunched forward or sitting on a leg folded underneath you. Sitting or standing in a forward flexion position day after day stresses the disc and facet area. This may contribute to future facet joint and disc problems. Failure to Properly Care for Back Injuries – Neglect of repetitive lower back injuries, such as facet syndrome, may cause the development of abnormal joint movement and stress on the facet joints of the lower back. Multiple incidents may cause problems that can result in missing work for several days. This precipitates degeneration to both the disc and facets. Unfortunately this may lead to more rapid disc degeneration and osteoarthritis of the lower back joints. Minimizing the damage to the back after an injury requires daily effort on the part of the injured patient. Maintaining good posture, following the correct exercises, possible use of a lumbar back brace, a lumbar support pillow when sitting, foot orthotics and sitting in a good chair that promotes good posture will minimize the lumbar facet syndrome. Working with doctors that understand the care and treatment of lumbar facet syndrome will be helpful to you in managing your lumbar spine health.